Are you interested in seeing the cultural areas in London? Well, if you are here for the first time, then you will definitely want to firstly check out South Bank and Southwark. In order to do this, it would be generally recommended for you to book a hotel that is either situated in one of these areas or that has accessible private or public means of transport to take you there without any headaches. After all, you are on holiday. An example of a beloved accommodation perfect for any traveller is the popular Hotel Novotel London Blackfriars. Situated in the right location, Central London, it allows you to visit the most popular cultural venues and attractions, such as Tate Modern or St Paul’s Cathedral. There are important and accessible public and private means of transfer available, ready to take you to any wanted British landmark. Moreover, you will enjoy the modern facilities, provided in every room. And, last but not least, what can be more relaxing after a full day than a nice sauna or a swim in a wonderful pool? In order to get a Stansted to Hotel Novotel London Blackfriars Transfer by rail there are several options. First of all, you could take the train from Stansted Airport (every 15 minutes), followed by a Tube from Tottenham Hale Underground (every 5 minutes) via Green Park Underground Station. This journey will take about 60 minutes in total. The second option is a bus from London Stansted (every 30 minutes) via Liverpool Street (every 5 minutes). This journey lasts about 1 hour and 9 minutes. You can also choose a bus from Stansted Airport (once/day), ending with a 41 minute walk. This trip takes 1 hour and 36 minutes of your time. A Stansted to Hotel Novotel London Blackfriars Transfer by car can be done by taking the M11 motorway. Stansted Airport is at a 38.1 miles distance from Hotel Novotel London Blackfriars. This journey will take about 49 minutes, without including traffic. A Stansted to Hotel Novotel London Blackfriars Transfer with 247 Stansted Airport Transfer is going to take about1 hour and 21 minutes, including rush hour traffic. 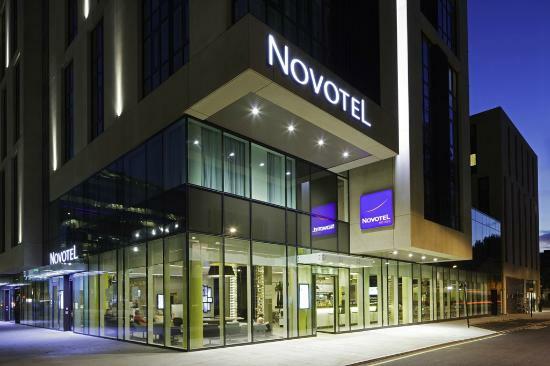 The price for a Stansted to Hotel Novotel London Blackfriars transfer starts from 59 GBP.